The Droplets of Life: Beach/Summer Essentials! What's a proper summer without going to the beach? It's feels awesome to lay underneath the summer sun and relax after a long and hard year at school. But no one wants greasy skin and smudged makeup after having fun in the heat and water. So here's a few tips to save you from any hassle after a long and enjoyable day at the beach (or when you're on holiday). It's best to keep your makeup as light as possible. But if you don't feel confident with going out bare-faced, use a tinted moisturiser or a light-weight foundation to cover up any dark circles, spots, or redness. 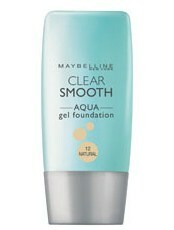 This works great for dry and combination skin types, however if you have oily skin, it might get a bit greasy. 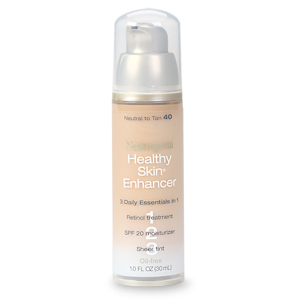 Neutrogena Healthy Skin Enhancer is a great alternative for people with oily skin. It has sheer to light coverage and is sold at an affordable price. It covers uneven skin tone or any skin discolouration. It's also very light-weight so it won't feel like a mask on your face. It gives a matte finish so you wouldn't have to worry about having greasy looking skin. The product contains retinal which provides exfoliation, anti-aging and acne treating benefits. However make sure to keep the product in a dark spot to prevent killing any antioxidants. Wearing waterproof mascara is a great way to enhance your eyes and avoid getting raccoon eyes after being in the water. However waterproof mascaras tend to be harder to remove. Try holding a cotton ball of makeup remover on your lashes for a while until it softens then rub to remove the mascara. Lip stains are a great way to give your lips a boost of colour and you can use it on your cheeks as blush as well. It's long-lasting, don't grease up your skin and also looks very natural. In my opinion I generally find lip stains a hassle to apply because it gives an uneven finish when applied in a hurry. However, recently I've found a technique to achieve an allover even lip colour and have it last for the whole day! I like to use Revlon Just Bitten Lipstain. It comes with a lip balm on one end but I'm not too fond of it. I prefer using my own. So I start by making sure that my lips are very mosturised, then I put a bit of product on my fingers and rub it over my lips to give a sheer colour. If you prefer a brighter lip, you can go over it carefully and avoid applying too much product on dry patches. As for your cheeks, just get a bit of product on your fingertips and rub it onto your cheeks. It gives a lovely flush of colour, as if you've just had a slight jog.